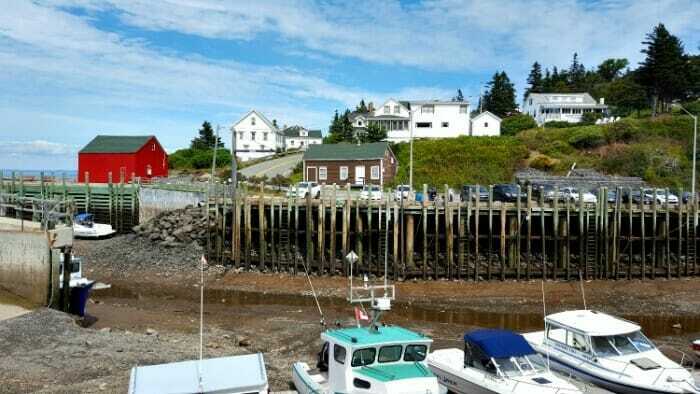 Hall's Harbour at low tide. This was taken on Tracey's first solo road trip ever. Given how popular our road trip posts are it seems that many of you may be planning a road trip in the near future. If your starting point is home, you may plan to use your own car. If it's not, you're likely planning to rent a car. If so, this post is for you. The car rental industry operates on slim margins and makes up for them by increasing your daily rate in a variety of ways. Being on holidays, you may be particularly vulnerable to suggestions such as an upgrade to a convertible rather than the economy car you booked when all the costs of your trip were in front of you. Likewise, you may not have done enough research before leaving which makes you inclined to purchase unneeded insurance or other services, just to be on the safe side. To help you save on your car rental expense, here's what you need to know. 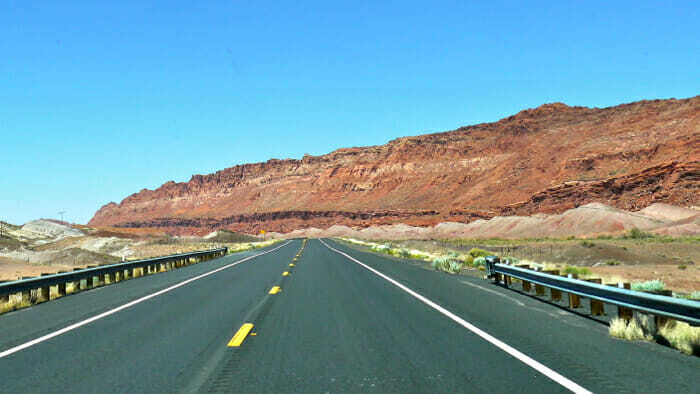 This is Highway 89A north before Vermillion Cliffs in Arizona. Comparison shop. Check you favorite booking site for car rental prices. My current favorite is FlightNetwork but you could also check Kayak, Priceline, and even Costco. Then go directly to the car rental company’s site to see if they have can beat the price. Compare pickup locations. Some reports indicate that car rentals from the airport are more expensive than those made downtown. But then I've also heard the opposite. Check both if it makes sense for your plans. Make an apples to apples comparison. Before you book make sure the currency is correct. For Canadians it's easy to book a great deal only to discover that it isn't that great because the price was declared in US dollars. Know your insurance needs before you book. First check the credit card with which you will pay for your car rental as it may include insurance coverage. Check the terms and the deductible. I had a very positive experience with my Visa card where I had a small accident and the cost was covered, no hassle and no deductible. However, if I had been driving a higher class of car I would not have been covered. Another option is to be covered by your regular car insurance. It may cover your rental car while you're away however your deductible will apply. Call your agent or check your insurance agreement. Use your membership cards. See if your AAA or CAA memberships can get you a discount. Pay in Advance and save, maybe. If you're absolutely sure that you'll be using the car why not pay in advance and save. How much you save will depend on the car rental company, the location and length of rental. However, there are a number of details in the fine print. Using the Hertz terms as an example, you can't combine the prepayment saving with any other promotional offer, voucher or certificate. All things being equal choose… the rental that also offers points for your primary travel loyalty program. 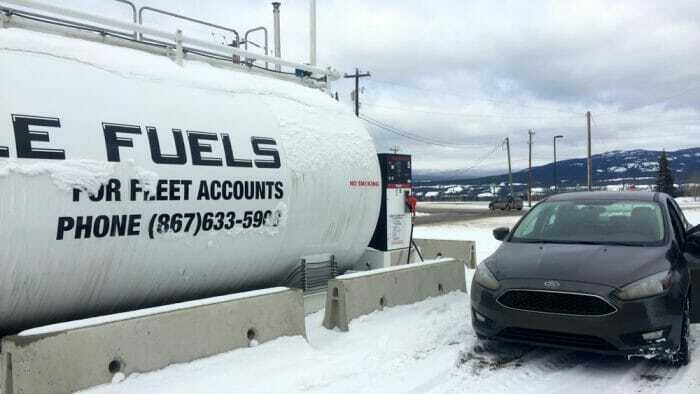 Refuel your car before you return it even if a station is hard to find. In Whitehorse, this was the gas station near the airport. A tank and pump. It took a bit to realize that this was the gas station Google maps was pointing me to. Ask before you accept the upgrade. If you are offered an upgrade ask what it will cost. If you ask, the additional cost may be waived if they are upgrading you based on their inventory. If you don't ask you could be charged for it. Always check the rental agreement before you sign to make sure the per diem rate is what you're expecting. Question the need for location-specific insurance. Car rental companies will propose additional insurance specific to your destination. In Kauai, Hawaii I was offered insurance in case I lost my keys at the beach. In Whitehorse, Yukon I was offered insurance in case my windshield was cracked by stone. Really? In the first case I decided to be careful. In the second I knew that my credit card insurance would cover it. Don't pay for them to fill your tank. Many car rentals offer a fuel purchase option which means that they will refill the tank for you – at a price. It will be more expensive. It may be a minor inconvenience to have to stop on your way back to return your car but it is a cost-saving decision.